Super Bright LEDs, an online retailer for LED lights, launched a new line of LED path lights. 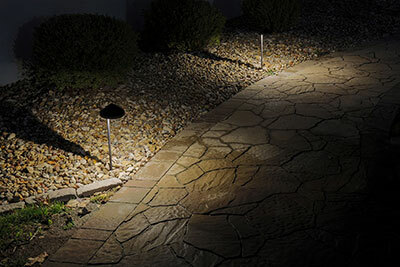 The new path lights are designed for use as garden lights, patio lights, driveway lights, walkway lights or sidewalk lights. Styles include mushroom, frosted glass, offset cone, hammered cone shades and offset linear light heads. These LED lights emit 95-155 lumens of warm white illumination, while consuming 3 watts of power, Super Bright LEDs said. Constructed of powder coated bronze or black alumin um, the path lights are weatherproof and rust resistant. 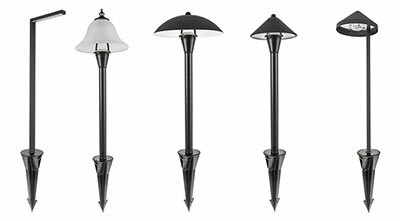 Several of the new fixtures are equipped with two 8-inch down rods for adjustable height options, and each path light comes with a screw-on ground stake.